Thanks Country Living for your current bargain focused issue! Its bursting to tons of budget friendly decorating ideas. I was particularly taken with the Bruns family feature. Designer Lynn-Anne Bruns has turned her children into helpful little bargain hunters, and her daughter Caroline is quite the talent. Caroline’s bedroom is wallpapered with oilcloth. So cute! Although I probably won’t staple oilcloth to the walls of my apartment, I was inspired when I went online and saw just how many pretty oilcloth prints are out there. Here is a sampling. 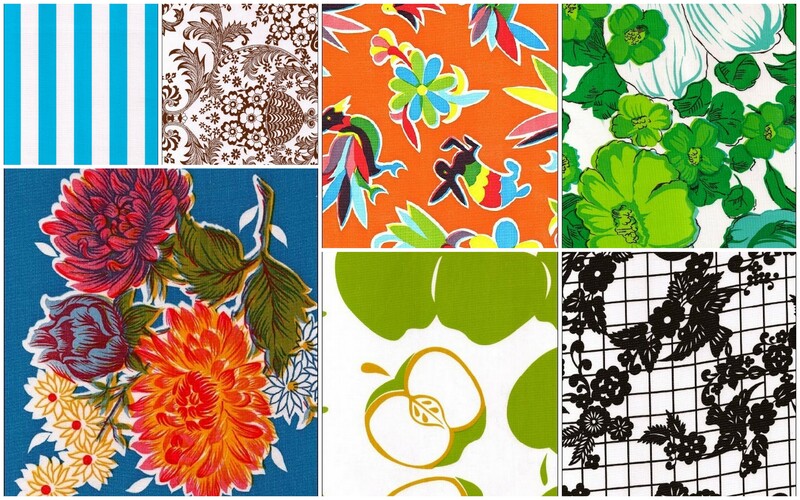 I found all of these and more on oilclothbytheyard.com for between $8 and $9 per yard. Seeing that so many great patterns and colors available has got me thinking of little projects I could do to use them. One idea is to make a little placemat to protect my table where Thomas eats, since at this stage most of the mush ends up on the outside, not in his tummy! 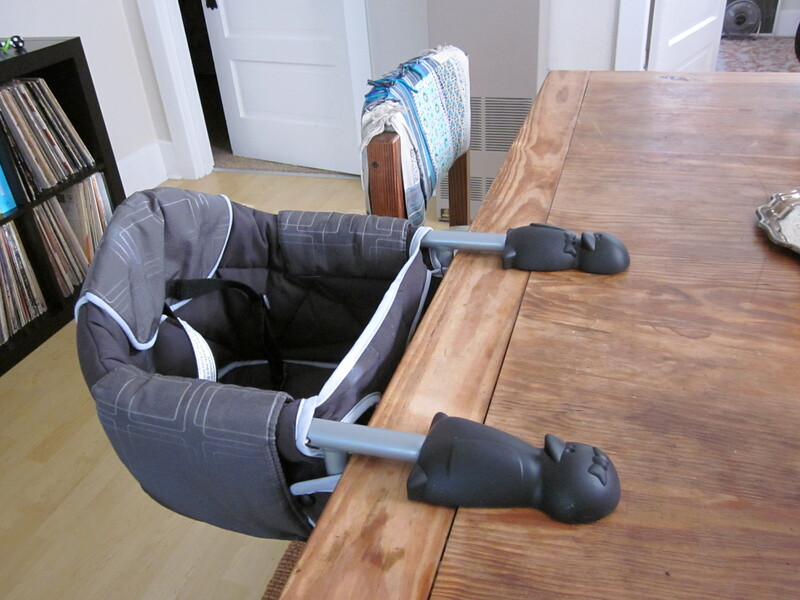 Thomas makes a mess of the table when using his space-saving hook on high chair! 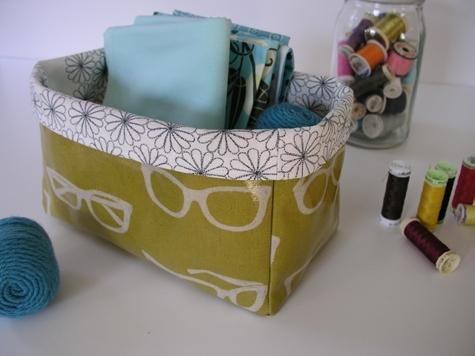 I also saw this project on design*sponge a little while back, and think it would look cute to make some of these storage bins for the changing table, and the kitchen. About ten years ago, my mom and I made cute reusable lunch bags out of it. It still looks pretty good, although momentarily it’s lost in storage. Anyone else have any creative ideas for using oilcloth? I think I’ll start with the placemat project, now I just have to decide which print to use! What a clever high chair. I love that you guys have been so selective about what you buy Thomas. It seems to easy to have a home that ends up looking like a preschool classroom if you’re not careful. Kudos!